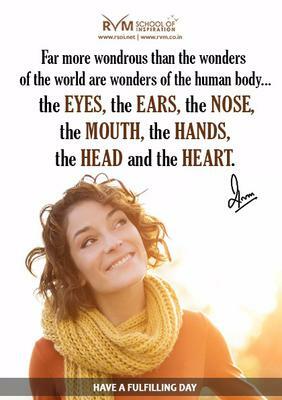 Far more wondrous than the wonders of the world are wonders of the human body . . . the Eyes, the Ears, the Nose, the Mouth, the Hands, the Head and the Heart.